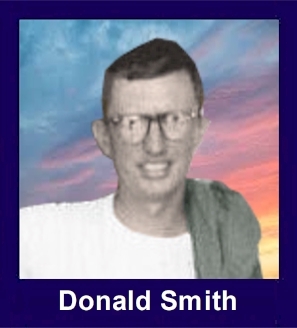 The 35th Infantry Regiment Association salutes our fallen brother, SP4 Donald Wayne Smith, who died in the service of his country on February 27th, 1966 in Darlac Province, Vietnam. The cause of death was listed as Grenade Accident. At the time of his death Donald was 19 years of age. He was from Dallas, Texas. Donald is honored on the Vietnam Veterans Memorial at Panel 05E, Line 84. The decorations earned by SP4 Donald Wayne Smith include: the Combat Infantryman Badge, the National Defense Service Medal, the Vietnam Service Medal, the Vietnam Campaign Medal and the Vietnam Cross of Gallantry with Palm Unit Citation. 316 W.Oak St. #207 Palestine TX. 75801 U.S.A.
Don and I met through a mutual friend that we rode to classes with during the summer of 1965. He was a good guy that read the newspaper while sitting in the backseat of Ronnie's 55 Buick, while speeding down the streets of Oak Cliff to make it to class on time. He went into the Army after getting his diploma. Ronnie and I were talking about how we went to his funeral in the same car, just days ago. Adamson High School is creating a memorial to commemorate the students that died in Vietnam and I will see that Don is listed.